AAA expects the national gas price average this spring to reach $2.75, a savings of nearly 20-cents compared to last spring’s high of $2.92. 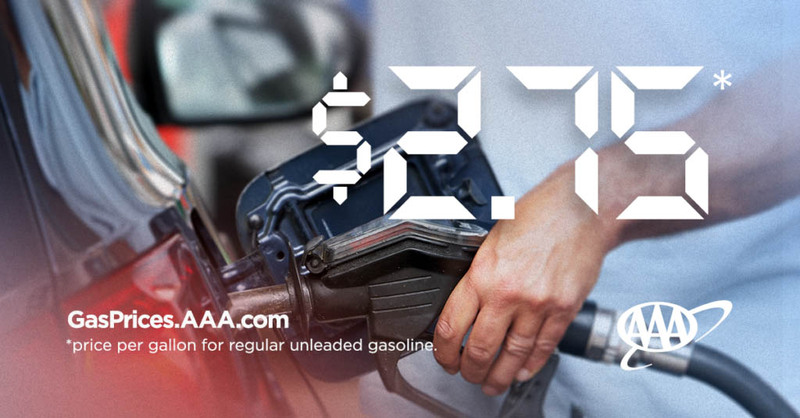 However, motorists on the West Coast and in the Rockies region will likely see prices reach or exceeded $3.00/gal, which is similar to last year. [320left]The difference between summer- and winter-blend gasoline involves the Reid Vapor Pressure (RVP) of the fuel. RVP is a measure of how easily the fuel evaporates at a given temperature. The more volatile a gasoline (higher RVP), the easier it evaporates. Summer-blend gasoline has a lower RVP to prevent excessive evaporation when outside temperatures rise. Reducing the volatility of summer gas decreases emissions that can contribute to unhealthy ozone and smog levels. A lower RVP also helps prevent drivability problems, especially in older vehicles. Summer-blend is more expensive to produce and that cost is passed on to the consumer each spring. Motorists benefitted this winter from lower crude prices, which comprises approximately 50 percent of the prices paid at the pump. Crude prices ranged between $4.00 and $56.00 this winter, while winter 2018 saw consistent prices between $60.00 and $6.005. This difference helped to keep pump prices mostly cheaper this winter, but crude prices are likely poised to increase this spring possibly back to $65.00, which will propel gas prices higher as gasoline demand increases across the country. Moreover, moving into spring, crude prices will likely increase as the Organization of the Petroleum Exporting Countries (OPEC) continues to implement its agreement with other global crude producers to cut production by 1.2 million b/d, which remains in effect through June. OPEC has announced that it will not meet in April to discuss the pact; instead, it will meet on June 25 and 26 and may announce a decision to end or extend its agreement at that time. OPEC and its partners will likely look toward global pricing trends around the time the cuts are set to expire as well as global crude demand forecasts, and how well members of the reduction pact have adhered to the production cuts to determine if it should extend its pact beyond June. If it does and crude prices rise dramatically, American motorists could see pump prices spike later in the summer. [320right]Additionally, U.S.-imposed sanctions meant to curtail crude exports from Iran and Venezuela will likely tighten global supply and help crude prices inch up this spring. The exact price impact will be determined by how stringently the U.S. enforces the sanctions. Some market observers believe the U.S., which is now the world’s leading crude producer, could help meet global demand because of its newfound export prowess. However, growth in domestic demand for crude, particularly during the high demand driving season this summer, may limit just how much the U.S. is able to contribute to the global crude market. Topics: AAA, Crude Oil, Gas Prices, Iran, Jeanette Casselano, Oil Prices, OPEC, Organization of the Petroleum Exporting Countries, Venezuela, Washington D.C.